I’m always on the hunt for new salad inspiration because, well, sometimes I get a little tired of standard options. . .
My eyes lit up when I spotted these tomatoes because they’re SO delicious — little golden orbs bursting with sweet juice and tomato-y flavor that, when in season, get quickly snatched up by adoring fans like me. And since I had a day-old crusty bread at home, my salad revealed itself to be. . .Panzanella! 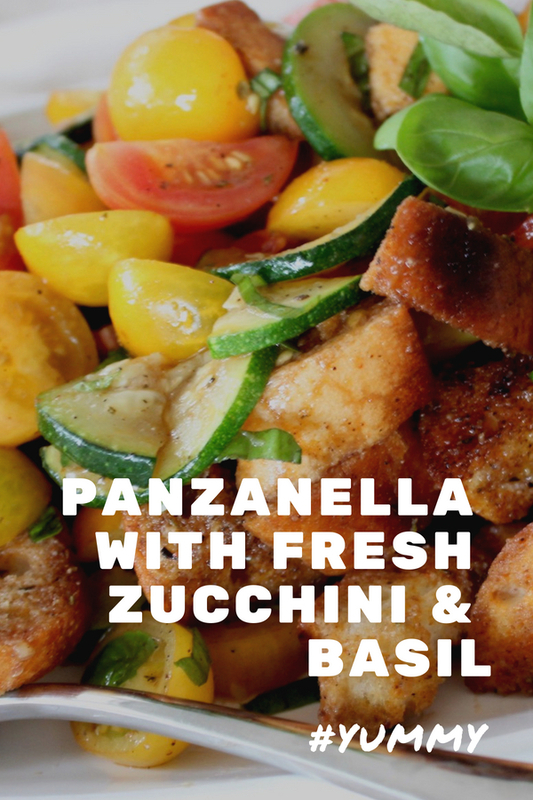 Panzanella is a bread salad flavored with tasty add-ins, most importantly, tomatoes. Now, I don’t really consider myself a food snob, but there are two ‘musts’ for this salad: 1) room temperature, ripe, GOOD tomatoes, and 2) rustic, crusty bread (the typical supermarket variety just won’t do). 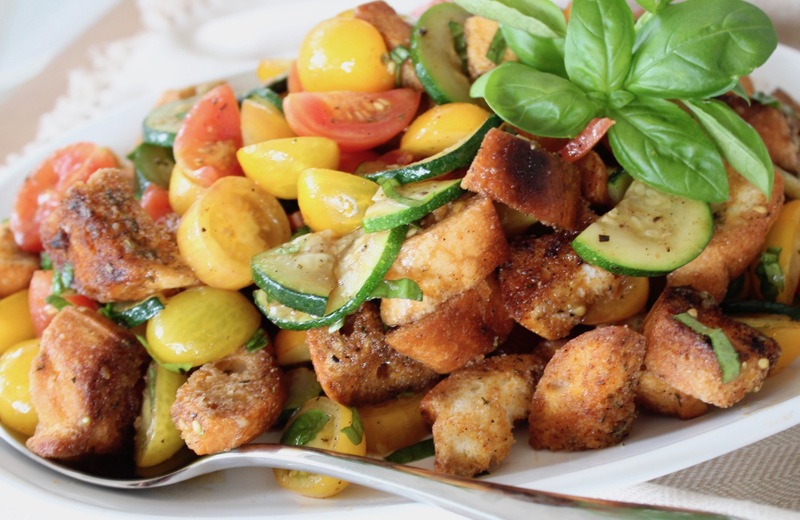 Classic Panzanella, which originated in Tuscany, uses day-old bread, ripe tomatoes, red wine vinegar, olive oil and salt. 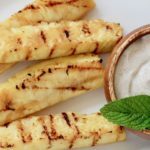 It’s a magical blend of succulent juices from the tomatoes, the bite of the tart vinegar and the sweet olive oil, all soaking into that dry bread, creating a delicious meal that’s perfect for summertime dining. So, if you’re lucky enough to get your hands on beautiful tomatoes at your local market, or perhaps even in your own garden when they seem to all ripen at the same time, consider making this salad. My version includes fresh basil and rosemary from my garden, plus some zucchini I had in the fridge. And rather than simply tossing in that dry bread, I decided to bake the chunks with a coating of fresh rosemary, garlic powder, paprika, salt and pepper to make them even tastier. 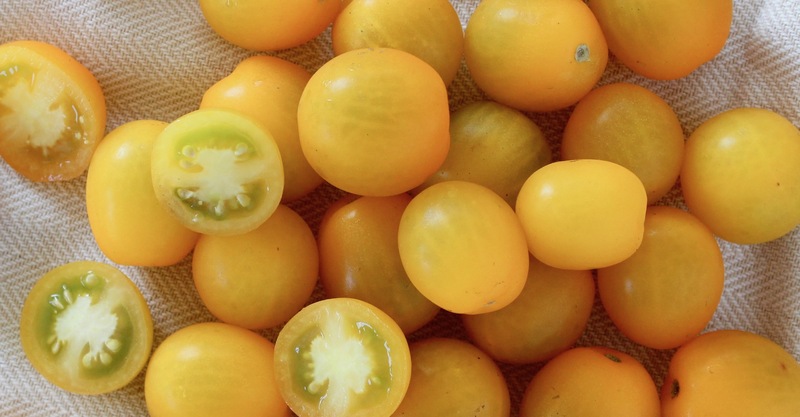 Note: you can find these delicious Blumenberry Farms Sungold tomatoes at Jessica’s right now, along with lots of their other beautiful produce like kohlrabi, basil, Black Radish, Easter Radish, Burgundy Okra and mixed beans. 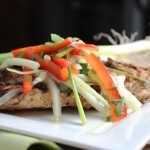 Jessica’s is open on Fridays, Saturdays and Sundays — check their website (link above) for more info! 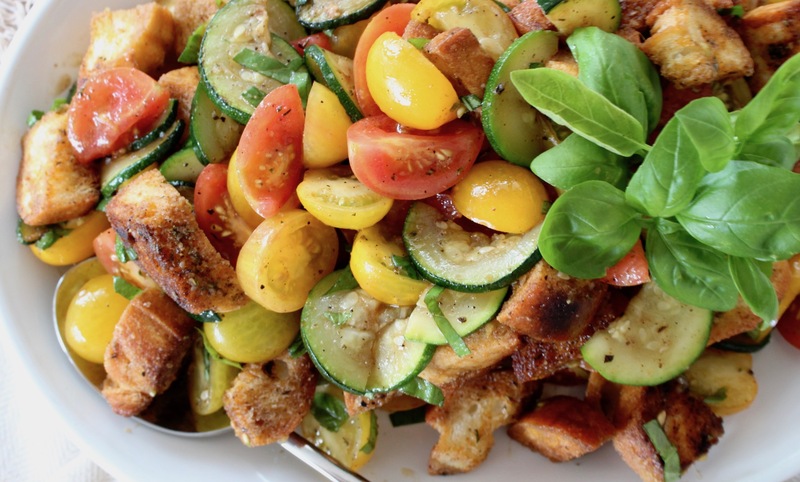 Lots of tasty flavorings make this bread salad with fresh tomatoes and cucumbers extra special. In a large bowl, combine butter, olive oil, rosemary, garlic powder, paprika, salt and pepper and mix to combine; add bread chunks/cubes and mix to coat all pieces. Transfer bread to a rimmed baking sheet (be sure to scrape out all seasonings from bowl); bake 7-8 minutes then remove from oven and cool thoroughly. In a saute pan over medium heat, add a little olive oil and the zucchini; sprinkle with kosher salt and pepper and saute a few minutes, then remove from heat and allow to cool thoroughly. Add Dressing ingredients to a lidded jar and shake to combine (or place ingredients in a small bowl and whisk together); set aside until ready to use. 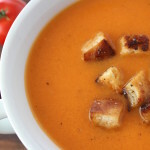 About 30 minutes before serving, add zucchini, tomatoes and basil to a large mixing bowl then add bread and mix gently. Pour about half the dressing into the bowl, stirring to combine. 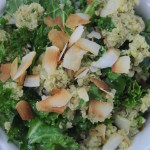 Taste and add a little more Dressing if needed (note: you may not need all the dressing - if so, just use it for another salad the next day). 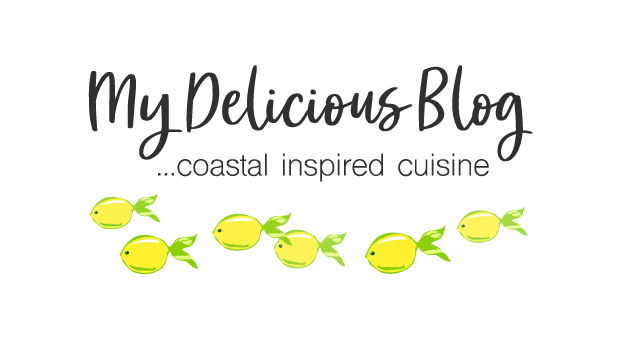 Allow the salad to sit for about 30 minutes so flavors combine - the longer it sits, the better the flavor, especially in those bread chunks! I think you may have outdone yourself here Nicole. This looks like the perfect lunch, dinner… whatever for summer. I’m copying the ingredients to my phone as I type. This is such a delicious salad. The crunchy bread with the fresh tomatoes is a great combination. Thanks Wendy! It’s a great way to use up leftover bread, and delicious tomatoes when they’re in season.